The continually morphing ambitions focusing on how best to export African creativity have centred on finding European and American marketplaces that might be receptive to African fashion and design. Few have thought of novel ways to leverage the possibilities around e-commerce in order to bring high-end African and Afro-diaspora products to the continent itself. The Nigerian entrepreneur Chris Folayan’s Mall for Africa is making moves in that direction, and Lagos has emerged as his company’s centre of gravity. 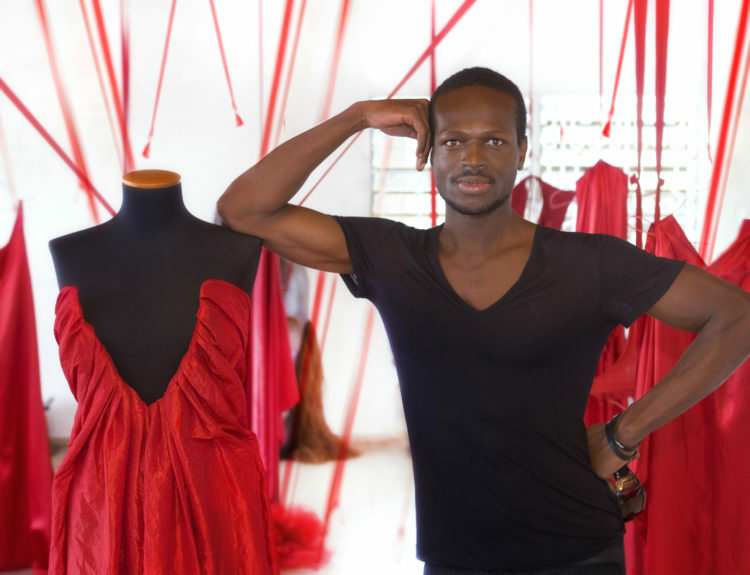 The Ghanaian businessman Sam Mensah launched Kisua out of Johannesburg and positioned it as a fashion brand showcasing Africa’s brightest design talents to the world. Sébastien Vetter et Ken Kakena, the men behind the new GALERIES 54 e-commerce venture had lived in Côte d’Ivoire and Senegal. From the moment they started conceiving their online store, they felt that it would be a shame to squeeze their plans into a high-end fashion box, which is why they opted for the full African lifestyle, including food and furniture. African fashion and design needed a digital platform. In the summer of 2016, Stephanie was living in Togo with her family, and she got a call from Ken, who told her that he had made progress on a business idea and that Total (the French oil and gas giant) would come in as a joint venture partner. They started working together, and Total is now helping with funding, office space, and human resources. More importantly, Total provides more than 50,000 locations across Africa where GALERIES 54 clients can pick up the merchandise they order online. E-commerce is still in its infancy in much of Africa. During a phone interview, Stephanie told me that ‘GALERIES 54’s ambition is to be in the main transportation hubs and deliver from there.’ Because end-to-end delivery is a major hurdle to African e-commerce growth, she feels that Total’s extensive distribution network, which includes gas stations, will help to deal with last mile delivery issues. One of the designers GALERIES 54 has been pushing is the Cameroonian Imane Ayissi, a former model and dancer who has been showing in Africa and Europe for more than two decades. For GALERIES 54, he has created a limited edition collection that is all about the modernity in African traditions. Stephanie, seen sporting one of Imane’s Voodoo jackets with a Vlisco wax skirt has become, by default, the face of the new company.